In 2018, iFly has become an Official Sponsor of Magical Winter Lights. 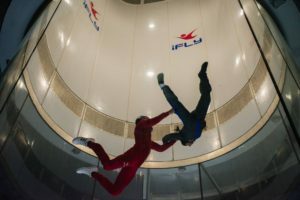 The team behind MWL is excited to welcome iFLY to the MWL family this holiday season. 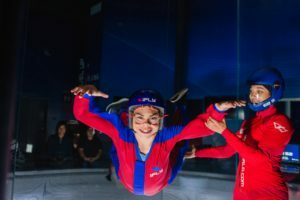 iFLY is an indoor skydiving facility that gives people of all ages (as young as 3 years of age and there is no upper age limit) the experience of skydiving, without worrying about your fear of heights or planes. 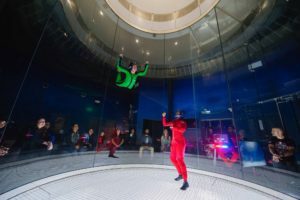 With the use of vertical wind tunnels, skydivers are able to develop their skills before actually jumping out of the plane. This invention has also lead to a new sport called “bodyflight“, which is quickly becoming one of the fastest growing sports out there! 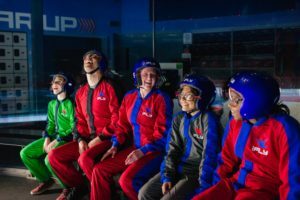 iFLY has two locations in Houston — in Memorial and in the Woodlands! Head to Magical Winter Lights Friday, November 30th, and Saturday, December 1st, AND Friday, December 21st, and Saturday, December 22nd to see iFLY in person! iFLY will have their very own vendor booth where you can experience a taste of the Virtual Reality Skydiving experience. Stop by to try on the VR headset and let iFLY take you skydiving around the world. 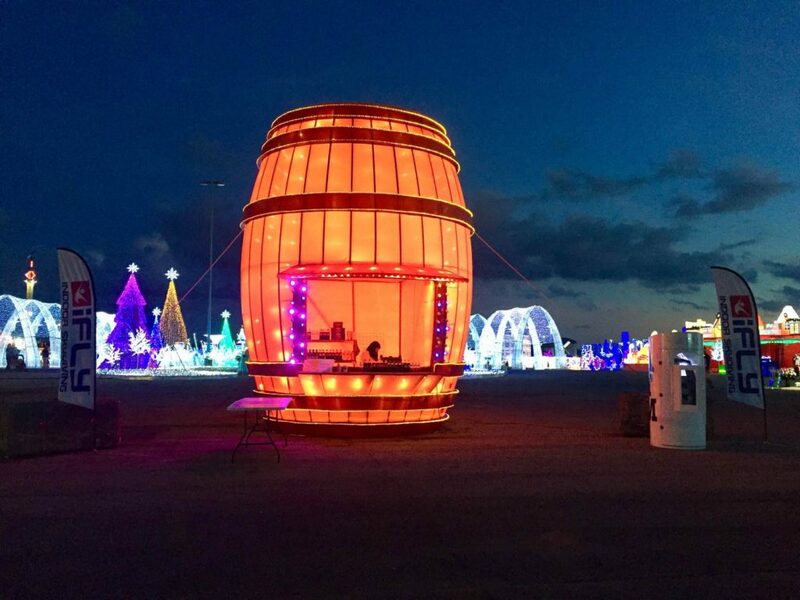 Sorry guys, there will be no skydiving at Magical Winter Lights; you’ll have to book a flight with iFLY in Memorial and in the Woodlands to experience the real thing! Each flight is the equivalent of a 13,000 feet freefall — without actually falling!